There's a film for every kind of heartbreak! (SPOT.ph) While you're still laying out your plans for the holiday break, you might want to add watching movies to your list. And it's not just your run-of-the-mill movie marathon at home, either. 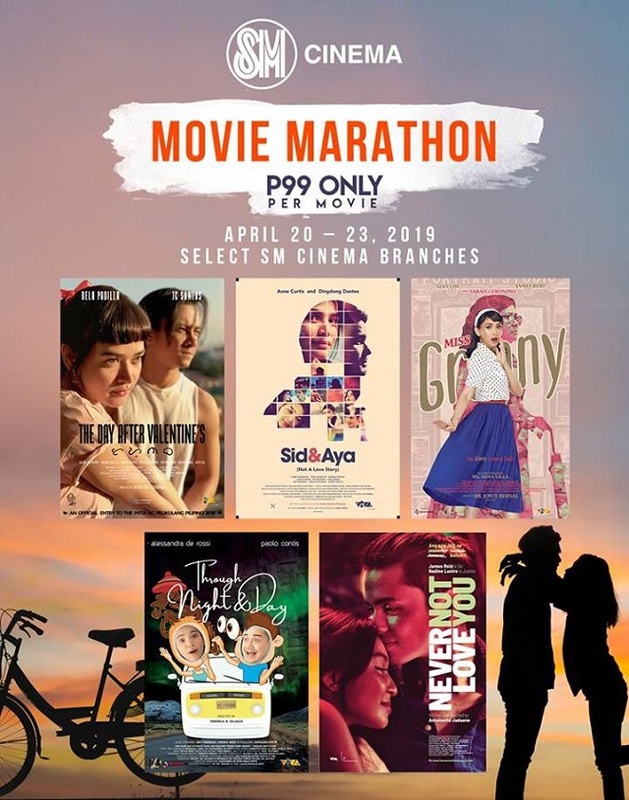 Grab your go-to movie buddies (preferably the ones who're going through some love-life problems right now), because hugot movies are screening at select SM Cinemas for only P99 from April 20 to 23. Take your (most relatable) pick, because they'll be screening Never Not Love You, Sid & Aya (Not a Love Story), The Day After Valentine's, Miss Granny, and Through Night and Day. The screenings will be at all SM Cinema branches except The Podium, SM Light Mall, S Maison, SM Aura, SM BF Paranaque, SM East Ortigas, and SM Puerto Princesa. 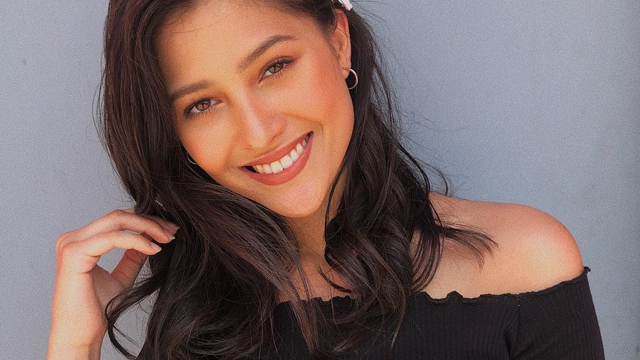 Antoinette Jadaone's Never Not Love You stars James Reid and Nadine Lustre as a couple who have to choose between their relationship or their personal career growth. 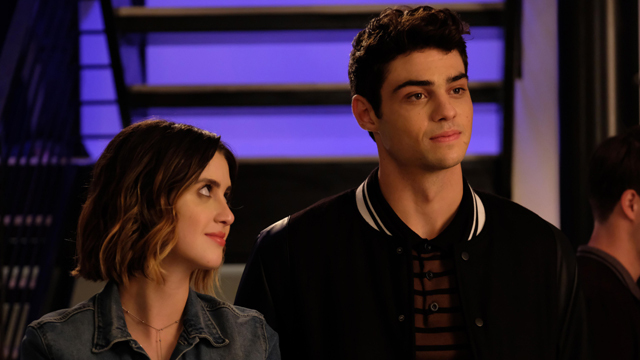 The easygoing Gio (Reid) finally gets his dream job—but it's in London. Joanne (Lustre) follows him there, but eventually realizes she has her own dreams to chase back home. 100 Tula Para Kay Stella's Bela Padilla and JC Santos reunite in The Day After Valentine's, where they both try to help each other heal from a heartbreak. In Sid & Aya (Not a Love Story), Anne Curtis and Dingdong Dantes play two characters in a complicated non-relationship. The insomniac Sid (Dantes) hires Aya (Curtis) to talk to him during his sleepless nights. And even if they're always talking, they try not to fall in love with each other. Through Night and Day proves that not all those sweet and cheesy photos on social media are what they seem. Ben (Paolo Contis) surprises his fiancée Jen (Alessandra de Rossi) with tickets to her dream destination in Iceland. Their seemingly perfect relationship starts getting rocky during the trip and they soon start questioning why they're even together in the first place. In this remake of a popular Korean movie of the same name, Sarah Geronimo plays the younger version of the 70-something Fely (Nova Villa). Given the chance to relive her life, Fely reinvents herself as Audrey. She then lives out her dream to be a performer with a little help from her grandson (James Reid).